Biozyme Satchets are a powdered cleaner for problematic drains, grease traps and septic tanks. It works quickly to liquefy and digest grease, cellulose, starch and soap residues. Digests grease and organic solids naturally. Powder form for long shelf life. 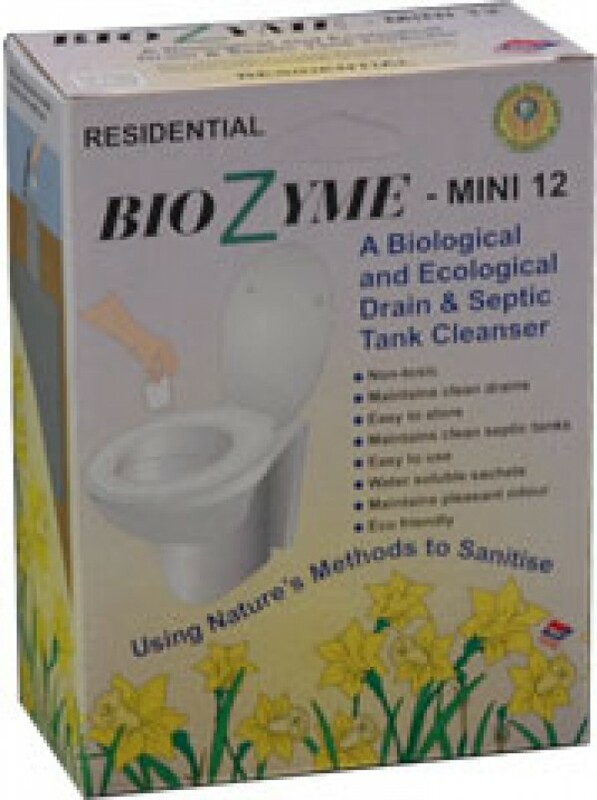 Enhances biological activity within septic tanks. Helps to keep pipes clear. Non toxic and environmentally friendly enzyme based. Biozyme is a powdered cleaner for problematic drains, grease traps and septic tanks. 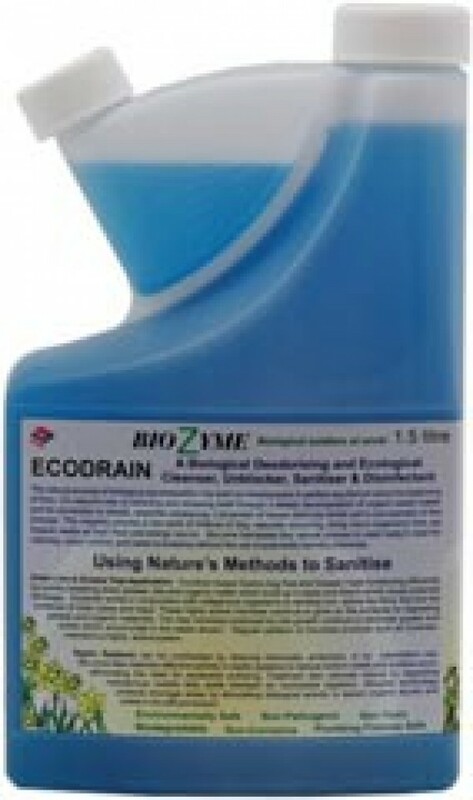 Ecodrain is a liquid formulation of selected enzyme strains plus a perfume for the biological control of foul odours. Its enzymes digest and remove the organic deposits that cause the odours. Regular use will help to maintain free flow in septic tanks and their connecting pipes. Liquid formulation for easy dosing.